In an average day, you probably juggle around 50 tasks as a small business owner. And you read twice as many headlines telling you how to promote your business. Internet is magic, but you’ll come across different advice. A good 60% of it is misleading or, even worse, completely false. So let’s see what solutions you can actually use to market your small business. While marketing can absolutely be costly and convoluted, the same doesn’t have to apply to you. Your first goal is to sell your products. Everything else comes later. Where will I promote my business? What type of advertisement do I want to use? What do I need to produce it? What is the cost of advertising on my preferred channels? And now that you’ve got all the information you need, it’s time to debunk the myth (and answer those questions). Where will I promote my small business? This depends on who your customers are. If you’re still not 100% sure, you can create a buyer persona to help you visualize your average customer. After that, see where they hang out. Where do they go for advice and for fun? For example, if you own an ecommerce shop that sells jewelry, you might want to check out social media channels like Instagram or Pinterest. 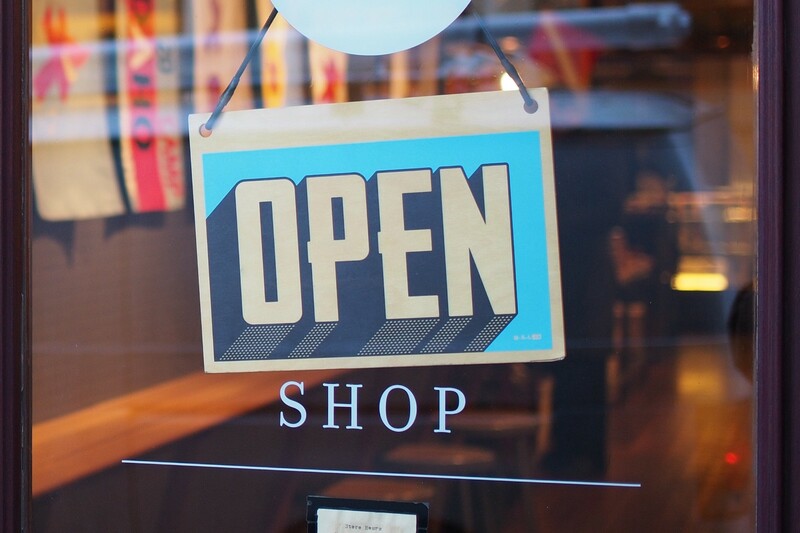 If your small business is a brick and mortar shop, you are location-based. You can use social media and digital channels, but your main focus should be on local marketing. Don’t be afraid to get ingenious — if your audience is there, you can advertise there. What type of advertisements do I want to use? 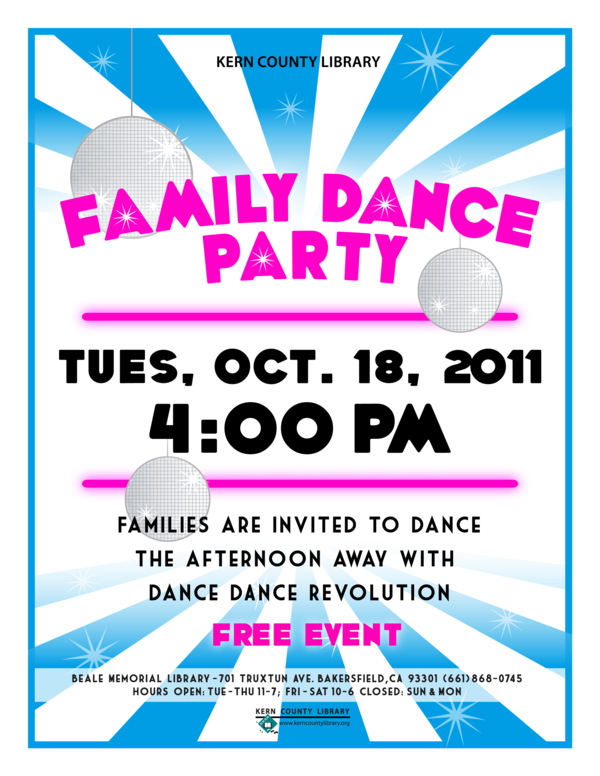 It doesn’t cost a lot to produce a good flyer and you can put it everywhere. Make a list of places that your customers frequent and leave your flyers there. These can be grocery shops, too. After all, everyone needs food. Resist the pull to create an overly artsy flyer: state the most necessary information instead. What, where, and what’s in it for your customers? You can use these flyer takeaways for any advertisement you decide on. What matters is showing the customer that you’ve got what they need. Forget everything else (or at least write it in a smaller font). Another way of attracting attention are sandwich boards. You want the customer to buy from you, but first they have to know that your small business is there. Your small business is unique, but you’re not the only small business owner in your vicinity. In child care, there’s a variety of resource and referral programs. What you can do is connect with other small business owners and do a cross-promotion. They can leave their fliers in your business premises, and you can leave your fliers in theirs. 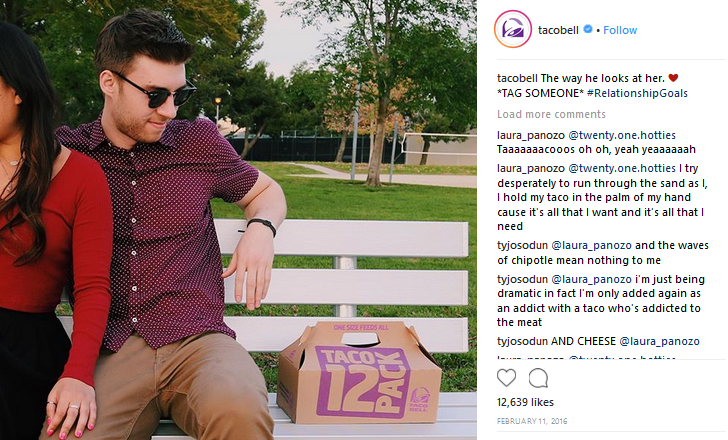 You already know all about hashtags, but just because you’re on social media doesn’t mean you should forget about guerilla marketing. If you’re getting cool flyers or sandwich boards, share them on Instagram and Facebook. These two platforms offer great geo-targeting options so you can make sure that your ads are only seen by people who are near your small business. Same goes for murals or chalk scribblings on the pavement. Social media is oversaturated: there are enough polished graphics made with Canva (great app, by the way) so if you’re in the mood for some creativity, this is where you can show it. A big part of your small business marketing should be your personality. If you and a coworker are up to shenanigans (again), share it. The more unique you can be, the better. 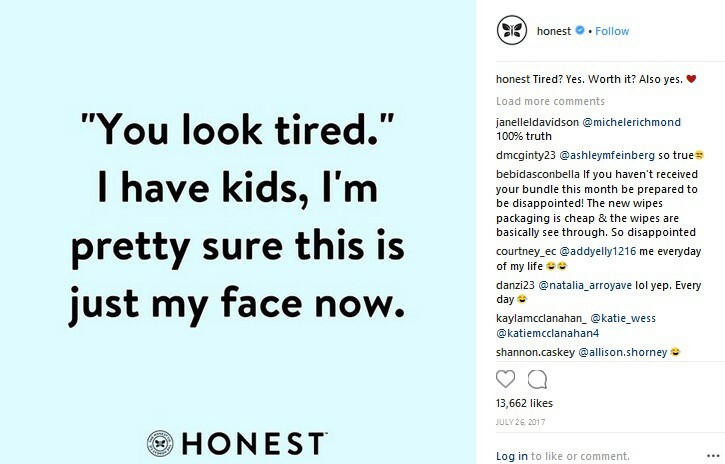 The Honest Company sells baby products and they definitely know their customers well. Relatable content is always a great idea when it comes to social media. The reason we all started using it was because we wanted to stay in touch with friends. Make your small business feel like one. Also, see that ‘TAG SOMEONE’? 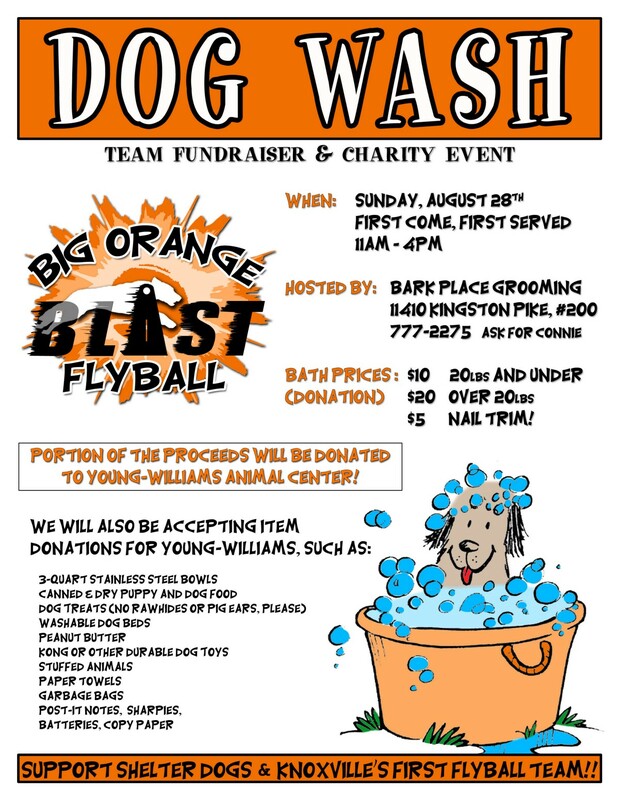 It’s a great way to spread awareness of your business, especially when paired with a giveaway. Even posting funny and relatable content is part of content marketing strategy that can give you — and your customers — the most bang for your buck. Blogs are a great way to pull in your audience with value even before they’ve paid a single cent. Content marketing (most commonly blogs and how-to guides) works great for small businesses. Even if you’re just sharing your day-to-day insights on running the business or the industry in general, blogging is a great way to connect with your audience. The customer’s question in content marketing is: if I get this much value free, how much value could I get if I pay? Content marketing is a long-term strategy that can help turn your business from just another small business into an authority on the subject. Especially if you focus on the customers around you. What questions do they have? What are their pain points? Help them, and then steer them in your small business’ direction. Once they’ve seen how you can help them with an article, the trust will help turn them from potential into loyal customers. And with a little help from our friend Google and people’s tendency to share content that helps them, you could be spreading the word about your business without spending a single cent on ads. Connect with writers who know what your customers want to read. Try ContentFly. There’s a lot you can do with just one search engine. The best thing about Google My Business is that your small business will show up to everyone looking for what you can offer. It’s free, you can add the most important information, get reviews and a steady stream of customers. It’s Google’s way of helping end customers find your site. It’s used most commonly for content marketing, by utilizing keywords your potential customers use to search for topics related to your industry and then giving them the answers. You can market your small business by utilizing these strategically, and placing them naturally across your site and in the content you post. It’s a bit more complicated when it comes to blog writing, which is why we definitely recommend trying out our service. At ContentFly, we know that SEO has become a staple in digital marketing for small business, so we’ve made it simple. Our writers know exactly what works best — for both Google and your customers. If you want results and you want them fast, use Google AdWords. It’s pricier than social media ads, but it shows your small business to people who are looking for products you offer. And with geo-targeting options, there’s no reason not to use it to get to the exact customers you need. It’s definitely the most precise option and a more charged version of search engine content marketing. Is marketing your small business difficult? There’s plenty of options to choose from but one thing is certain: if your customers are there, you should be there. How you choose to be is up to you. Just don’t forget to use it as an opportunity to learn what your customers need, and help them get it.